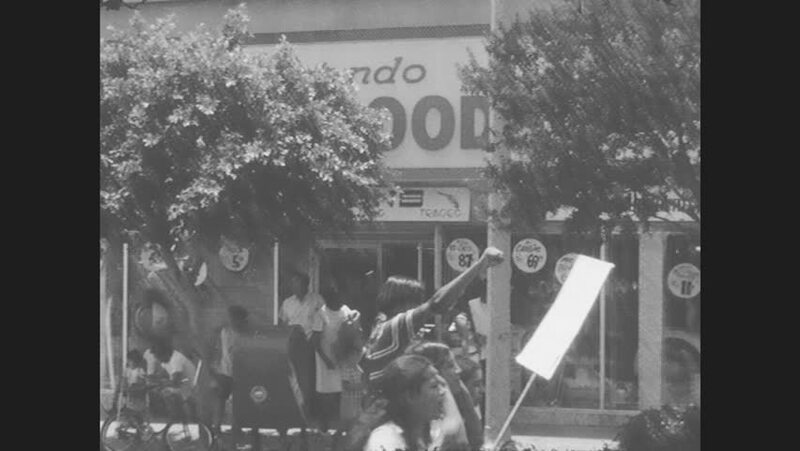 1970s: UNITED STATES: protesters carry flags and banners through streets. People raise fists and chant. hd00:29US 2 Reverse Art, Front Lit, Left To Right Movement, with subtle variation, Magnified, Federal Reserve Note. 4k00:221950s: Horse and farmer pull plow along ground. Pregnant woman cuts wood in front of dilapidated home. Woman gathers wood and walks toward home. hd00:43CIRCA - 1918 - Soldiers smoke and a trough is filled with water and a military camp is shown during the Meuse-Argonne Offensive in World War 1. 4k00:221920s: statue on tall column with human figure and cross on top. woman in hat walks through cemetery with trees, crosses, gravestones, headstones, tombs, crypts and hills. hd00:171910s: Soldiers march down city street. Explosion in field. Man operates cannon. Cannons fire. Explosion in field. Men sprinting out of trenches. hd01:31CIRCA - 1918 - Soldiers of the 84th Division arrive at the Chateau de Neuvic, and officers pose for a photograph, in France during WWI.